Everyone wants a smile that is not only perfectly shaped and colored, but also complete—no large spaces. The gaps left behind by missing teeth can really do a number on a patient’s self-esteem and can create additional daily challenges, such as more difficulty eating your favorite foods. Learn how you can have the unwanted gaps in your smile closed with implant dentistry at Mendelson Family Dentistry in Owings Mills, MD. Whether the spaces from missing teeth are at the front or the back of your mouth, they are pretty easy for others to notice in close company. It makes your smile look incomplete, like a puzzle that’s missing a piece. The gap traps food when you’re eating, and can become an unnecessary distraction when you find yourself constantly poking the open space with your tongue. Also, consider the fact that the open socket leaves the gums and bone tissue more vulnerable to decay from bacteria. 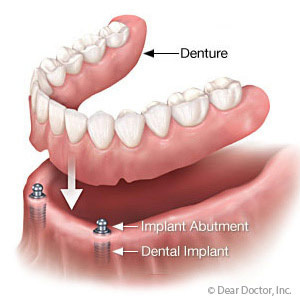 When you choose implant dentistry, it resolves both the aesthetic and functional issues that are caused by missing teeth. 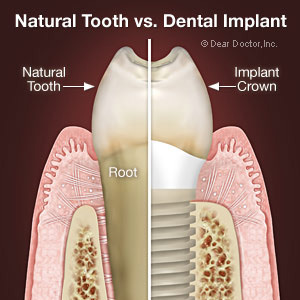 It is a whole tooth replacement, meaning that the tooth is rebuilt from the root to the crown. A small titanium device becomes one with the bone tissue in your mouth so that it can form a strong base for a custom dental crown. 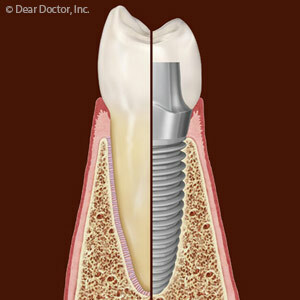 Your Owings Mills dentist can also design an implant-supported device that replaces multiple or all teeth at once. The first advantage that you’ll notice after implant dentistry is that you’ll forget you have an implant in the first place. 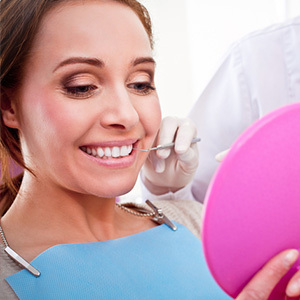 Once fully healed, it looks and feels just like your other teeth. Another benefit is that you can relax knowing that your bone tissue will stay healthy, keeping your jawline and facial structure intact for many years. After your tooth gaps are closed with the help of implant dentistry, you will feel more relaxed when it’s time to show off your smile. Call (410) 356-4100 today to schedule an appointment at Mendelson Family Dentistry in Owings Mills, MD with Dr. Herbert Mendelson.